The Scramblers might carry the ‘Trials’ badge from the 50s. Mechanicals are expected to be same as Bullet range. Expected launch in the first half of 2019. Rumours of Royal Enfield working on a Scrambler have been doing the rounds for a long time. A test mule was recently spied testing too. While we first thought it'd be based on the Classic 500, new leaked images indicate that the new motorcycle will instead be based on the Bullet 350 and the Bullet 500. Same reports also indicate that Royal Enfield might bring back the 'Trials' badge from the 50’s for the two new motorcycles. Both the motorcycles will get typical Scrambler elements like knobby tyres, single seat, upswept exhaust and tall handlebars. There is also a luggage rack at the back instead of pillion seat. The fender also seems to be shorter than the standard variant. While the Bullet 350 Trials’ frame gets a red finish, the Bullet 500 Trials instead sport a green frame. 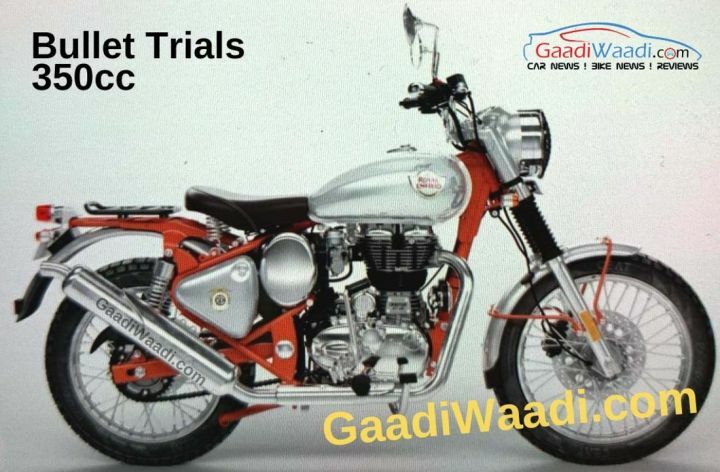 Further differentiating the two, the Bullet 350 Trials gets an Interceptor inspired fuel tank while the 500 Trials seems to be sporting the stock fuel tank of the Bullet 500. Royal Enfield already sells a Classic 500-based Scrambler as a customisable kit in Europe with the above mention accessories. We expect these motorcycles to carry most of its features here as well. Mechanically, both the motorcycles are expected to use the existing 346cc and 499cc, single-cylinder engine as before, making 19.8PSof power and 28PS of power respectively. Both are also expected to come with dual-channel ABS as standard. Small information bullet ES 350 'ABS' launching details bcoz iam eagerly waiting that. Small information bullet ES 350 'ABS' launching details bcoz iam eagerly waiting that. Share your experiences with Bullet 500? Confused about Royal Enfield Bullet 500?